This player is a good poker player. He has in some of the games showed his outstanding poker playing skills and has completely shocked the players. He has played very huge tournaments and even if he has not won then only because of his playing tricks he is very well known and much remembered in the game. He plays the game with full of his concentration and comes with the winning spirit in the game. Poker is a comprehensive card game of luck as well as strategies, it is befitting that every year there are new champions who are inducted into the Poker Hall of Fame for the achievements they have showcased in the game. The latest entrants in the Hall of Fame are Carlos Mortensen and Todd Brunson. Both are professional players in this field with distinct achievements and stake to fame. October 26th will have the induction ceremony conducted as planned for the two professional players. The event will take place at the Gambling Hall of Binion’s. This hall has a long history as well, having hosted the original World Series of Poker. There would be a traditional event which would be ceremonial in nature. This would be followed by dinner, which will take place around seven in the evening in the Longhorn Room. The Longhorn Room was known as Benny’s Bullpen before as that was where Benny used to feature the high stakes event at the time when he started the establishment. There would definitely be a lot to discuss during the ceremony and the dinner event. The 2015 WSOP Europe festival schedule was announced on Thursday, May 7 by World Series of Poker. The event will be conducted in Spielbank, Berlin, Germany and it will run from October 8 to October 24 featuring a total of 10 gold bracelet events. WSOP Executive Director Stewart said that Germany is a real hot bed for upcoming poker talent and the country also plays home for the 2011 World Champion and reigning Player of the Year. He also said that the tournament is looking forward to bringing in fresh talent ready to take on the world stage. Proximity of the country to other countries in Europe also makes it ideal for hosting poker events. Given the amount of time it has taken to bring back poker here and considering the experience of the Spielblank team it is believed that the WSOP Europe is going to be the best organized ever. 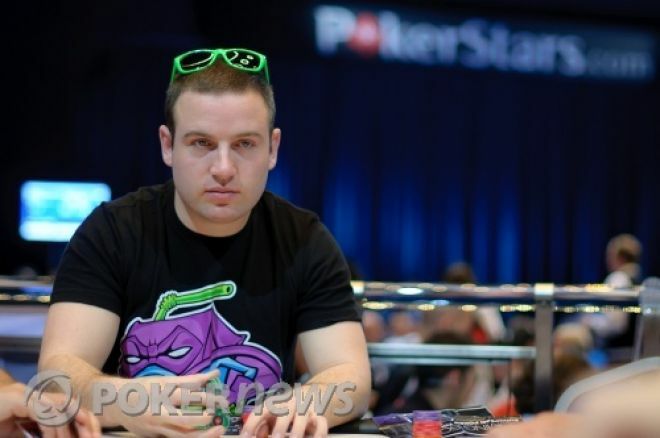 Some of the players referred by Stewart included George Danzer, the current WSOP Player of the Year and winner 2011 WSOP Main Event, Pius Heinz. This tournament is going to be the WSOP EUROPE’s eighth installment and it will begin on Thursday, October 8, with €2,200 Six-Handed No-Limit Hold’em event. The Main Event will warrant a €10,450 buy-in and will start at 12 PM local time on Saturday October 24. The event will be held for five days, final table starting at 24 after a day off of the €25,600 High Roller completion. Vladimir is a player who has won the various bracelets, cashes as well as casinos in the poker game. Total number of casino he won is $3,303,569. Vladimir won total 37 casino. He enjoys a lot to play at the Hold’Em event. Winning cashes are very much difficult for him in each match. Vladimir has no good score in all the poker tournaments which he has played at the international poker tournament, but this player is great by his game and not by name what he believes. Welcome in the WSOP being started from 27th May 2015. You guess right, Las Vegas is the dream city where this championship is going to be started. All the hotels and casinos of the city have been well decorated for welcoming the forthcoming even as this will not only be a part of championship as well as the main attraction of this tournament will be Dan Harrington. He is one of the most reputed poker players of world. Within the little age, he earned a big name. He was born in USA and earned his better fame outside the country. Just guess that how important his participation will be. Not only Dan but the entire poker players are waiting the event. Schedule of the WSOP is fixed according to the venue and participation program of the reputed players. On this even a big money of $5,000,000 is going to be invested. This is just only expectation and real prize money can be more. The prize pool is guaranteed at minimum level of $5,000,000 but no upper limit can be predicted. Dan was born in 1945. He is one of the living legends of Poker. Presence of this genius is the key of success of the event. Though, the exact venue has not yet been finalised. Any of the casinos which have good and sufficient space will be allotted for this play. In his early age, his skills in playing chess were amazing and on the basis of this skill he earned a big fame. Later he started gambling game with chess. Bill Gates, founder of Micro-Soft was the buddies of Dan at some time. Some of the tricks, which are being adopted today, are developed by Dan Harrington. So, let’s gather on due date to see the expertise and best playing by this legendry player in Las Vegas.